Today, Monday, August 14, 2017, marks the 40th anniversary for Bloem in River Park Square. In 1977, Johanna Julyan and her late husband, Ren, bought Boehms Candies, later changing the store name to Bloem Flowers, Chocolates & Paperie. When the Julyans first bought the business, they quickly realized they had to expand to survive. They added novelty candies, which included a newly introduced candy called Jelly Belly. In 1981, when President Ronald Reagan took office, the store had a waiting list of people to call when the next shipment of Jelly Bellies arrived, as they were endorsed by President Reagan as his favorite candy. In 1984, after a family trip to Holland, they began importing flowers direct from the Alsmeer Flower Auction. Over the years, the store added a variety of new products including Papyrus and Joseph Schmidt chocolates, grew their footprint from 826 square feet to 1300 square feet, and has had three different locations within the shopping center. To celebrate four decades of business within River Park Square, Bloem will be running specials on Boehm's chocolate bars, holding daily prize drawings, sampling product, and showcasing photos and articles of the last 40 years. For more information contact Johanna Julyan at 509- 456-8466. The website is chocolates-flowers.com. Utah-based Sportsman's Warehouse just opened a new store at 15118 E. Indiana Avenue that once was a Sports Authority location. The 32,000 square foot space is next door to Home Goods and Joann Fabrics at the Spokane Valley Mall. Sportsman's Warehouse sells sporting goods and outdoors merchandise with departments for hunting, including firearms, fishing/marine, camping, clothing, shoes/waders and more. Their first store is at 6720 N. Division in Spokane. Spokane architectural design firm Nystrom Olson, founded here in 2005, has been acquired by Menlo Park-based design and construction firm Katerra Inc. The two companies have worked on projects together in recent months. The firm has been renamed Katerra Spokane and is part of a northwest expansion. In celebration of the solar eclipse August 21, the Krispy Kreme donut chain, including the Spokane location at 15401 E Indiana Avenue, at the east end of Spokane Valley Mall is serving a special commemorative donut. 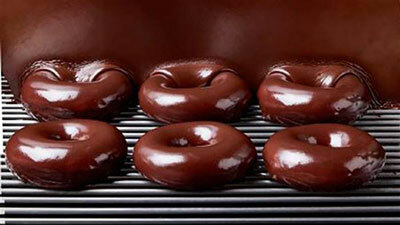 They are glazing their signature donuts with chocolate for three days only, on August 19, 20 and 21. Spokane's Krispy Kreme store is open every day from 5am to 10pm. Churchill's Steak House at 165 South Post, will be having one of their famous Mis-Steak nights on Sunday, August 20, from 1-9pm. They will be serving slightly smaller cut USDA Prime Beef Steaks with Garlic Mashed Potatoes and Sugar Snap Peas for the price of $19. For reservations go to ChurchillsSteakhouse.com/Reservations or call 509-474-9888. 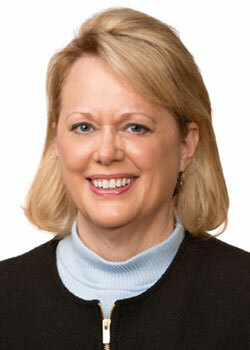 Witherspoon Kelley has announced that Kara L. Heikkila has joined the firm as a principal. She offers more than 25 years of experience in both human resource and attorney roles advising employers on personnel and employment law. While Kara's practice will focus on Employment and Labor law, she also specializes in Affirmative Action/ Federal Compliance, Healthcare, and Litigation. Kara is licensed and admitted in all state and federal courts in Alaska, Idaho, and Washington. Kara's contact into at Witherspoon Kelley's Coeur d'Alene office is 208-667-4000 or by email at KLH@witherspoonkelley.com. For more information, visit witherspoonkelley.com. 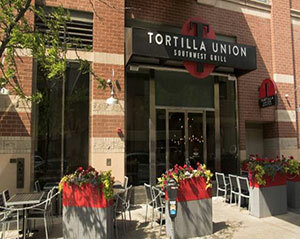 Tortilla Union restaurant at 808 West Main in River Park Square, celebrates one year in business. They are open Sunday-Thursday 11am to 9pm, Friday and Saturday 11am to 11pm. The phone number is 509-381-5162 and the website with their menu is tortillaunion.com. State Bank Northwest has promoted Ashley Morales to vice president and commercial lender. She has 12 years of commercial lending experience and has been with State Bank Northwest since 2015. Spokane-based construction consulting firm, Roen Associates Inc has leased a 3,000 square foot, two-story, historic office building at 121 South Wall Street. 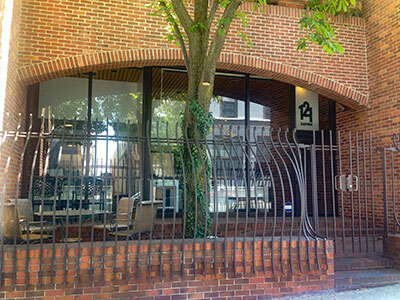 The space was formerly occupied by renowned architect, Kenneth Brooks and it is my favorite space in town. You can get more information about Roen Associates at roenassociates.com. 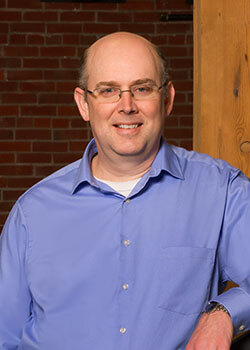 David Hipp, AIA, associate principal, of Bernardo Wills Architects has successfully completed the requirements for the nationally recognized Designated Design-Build Professional certification. The Design-Build Institute of America awarded designated status to Hipp upon his successful completion of coursework and formal examination in all aspects of design-build project delivery. The designation identifies Hipp to design-build contractors and the industry at large as having mastered the best practices associated with the entire design-build process - from project procurement through post-construction. Hipp is currently working on two design-build projects in Washington state: the BCT Complex, Unaccompanied Enlisted Personnel Housing at Joint Base Lewis-McChord and the Washington State Department of Transportation North Central Region Administration Facility in Wenatchee. His portfolio of design-build projects also includes the Operational Readiness Training Complex at Joint Base Lewis-McChord and three Armed Forces Reserve Centers. Menchie's Frozen Yogurt, a franchise operation out of Encino, California is planning a store at North Pointe Shopping Center located at 9986 North Newport Highway. No opening date has been set. Menchie's operates over 540 locations with locations around the United States as well as in England, Kuwait, UAE and more. For more information go to menchies.com.